Our friends at VDI don’t need any introduction from us. Their reputation for training excellence has been built on the success of their students, and by the confidence their clients have in them year after year. Government and military agency’s as well as fortune 100 companies trust them to train their people to the highest standards in the industry. It’s why we recommend students attend VDI drivers training prior to attending the ISA Advanced Protective Agent Drivers Program. 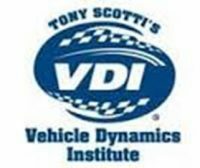 At Tony Scotti’s Vehicle Dynamics Institute (VDI), their reputation has been built on the very same principle that has made the Scotti name one of the most recognized in the security profession for more than thirty five years; they focus on doing just one thing – advanced driver training – and doing it very well. Their stated goal is to provide each and every one of their students with the knowledge, skill and ability they will need to survive potentially life threatening encounters while behind the wheel, from motor vehicle accidents to deliberate attacks. Disclosure: The CEO of ISA and the director of the training division is a VDI graduate and certified instructor.